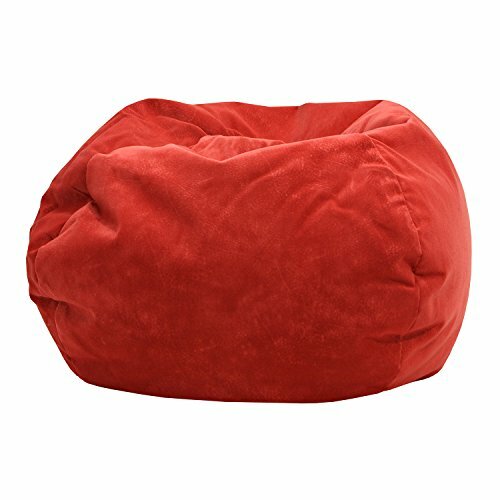 Small/Toddler Micro-Fiber Suede Bean Bag. 84" Circumference (L26" x W26" x H15"). Sturdy Cover is Flame Red, Double Stitched, and has a Child Safe Zipper. At Just 5 lbs, it's easy to Move From Room to Room. This Durable Bean Bag has Easy Spot Clean Maintenance. Filled with Virgin Expanded Polystyrene Beans. Made in USA.